If you’re looking at the name Teairra Mari and going, ‘Where do I know her from?" don’t be ashamed; so was I. It’s just another example of how insanely fast time flies in the music industry. In 2005, Teairra Mari was signed to Roc-A-Fella records and her debut album charted in the top five upon its release – see singles such as Make Her Feel Good and No Daddy. Nowadays, the singer is looking to build on the buzz she generated with her last Booth feature Sponsor on her latest single, Body. 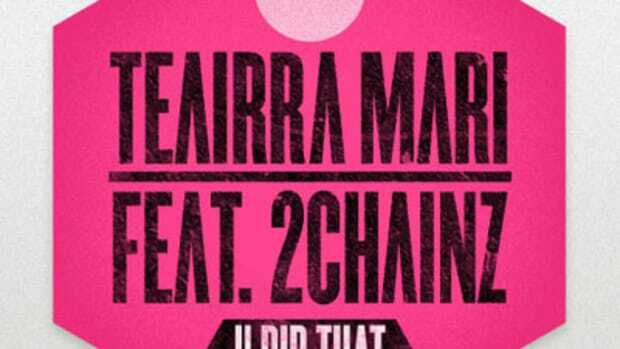 The production is handled by Warren “Oak” Felder, and includes the clashing of: snares, bass, electro-synth sounds, a sped-up vocal sample, and Mari’s voice. The song’s percussion and delivery resembles Beyoncé’s Diva in a number of ways, but definitely doesn’t stack up to Queen B’s banger. Still though, the track does have some catchy appeal and I wouldn’t be surprised if it found its way onto radio airwaves in the near future. Regardless, Body already has a home on Mari’s new EP, Sincerely Yours, dropping August 17.